The planning for One Life Church planting started getting aggressive in 2010 with a team from Bethel Temple Community Church in Evansville, Indiana and Henderson, Kentucky who launched the new church planting organization called One Life Network, Inc.. After months of prayer and preparation, the first church site was secured and renovated in Henderson at an old Ben Franklin Store in Eastgate Shopping center at 1644 Second Street. After many hours of volunteer construction teams transforming the old building into a church with an auditorium, lobby, nursery/preschool rooms and a kid’s theatre…opening day was 10/10/10. As with any new church plant opening day was anticipated with excitement, but appropriate caution as to how the community would accept and respond to a new church in town. The results were extraordinary. This modest venue of 500 seats was filled to overflowing with over 1000 adults and kids that were responding to the vision of a young church seeking to “help people far from God experience Jesus”. 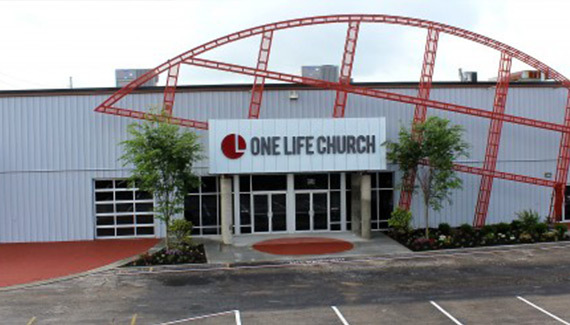 But as the Henderson site added a second service and eventually a third service to accommodate the people coming in the doors, the core team at One Life Church always stayed connected to the idea of planting churches that plant churches. In August of 2011, One Life Church merged with a young church plant on the West side of Evansville, Indiana meeting in a movie theatre called Discovery Church. Discovery closed their doors with the idea of a relaunch on Evansville’s west side as soon a new permanent building could be secured and renovated. After a lengthy search, One Life West was launched at 1301 West Lloyd Expressway on 8/19/2012 in the offices and warehouse of the old Sterling Brewery. Once again volunteers spent several months renovating and preparing this facility with a 500 seat auditorium, new lobby, nursery/preschool rooms and they used the old Rathskeller as a Kids Theatre on the lower level of this unique building. And just like Henderson, the west side of Evansville responded to the vision of One Life West and they came to explore and connect to this new west side church. Over 1000 people showed up on opening day and with multiple services, the One Life Network of 2 locations is approaching 2000 people in the first two years of existence. And the story goes on with site number 3. 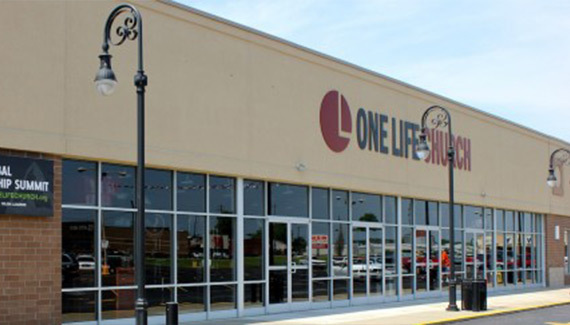 In summer of 2013, One Life reached an agreement to put the 3rd location in the east side of Evansville in the old Acros Center at 333 Plaza Drive. This building is strategically located between Lloyd Expressway, Green River Road and Burkhardt Road and just a short distance from Harrison High School making it at the heart of East Side activities. After several months of hard work by mostly volunteer labor, One Life opened One Life East on Easter Sunday, April 21, 2014. 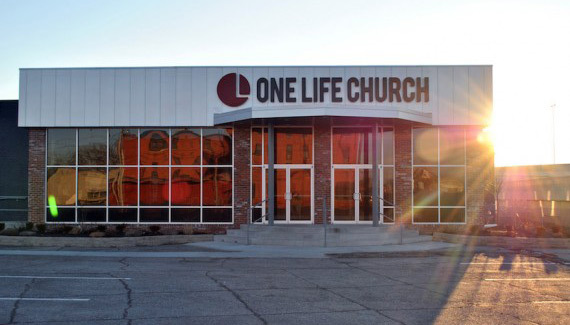 One Life was now 1 church in 3 locations. And again the community responded with over 1000 people on that first Sunday. The first three years have been an incredible ride. There have been over 300 people baptized and over 200 One Lifers have been involved in Global opportunities through short term mission trips. In October of 2013, One Life launched MOVE. The idea of MOVE is a clear vision for local and global impact at increased levels with the growth of the three main sites in Henderson, West and East. With a vision for a church planting network thinking globally and acting locally, One Life Henderson, One Life West and One Life East are the beginning of what we hope to be many church plants around the world. Additional sites are being planned in the tristate area surrounding Evansville and there are other opportunities being explored in global cities. Helping people far from God experience Jesus is not just a vision plaque on the wall at One Life. It is at the core of everything we do.